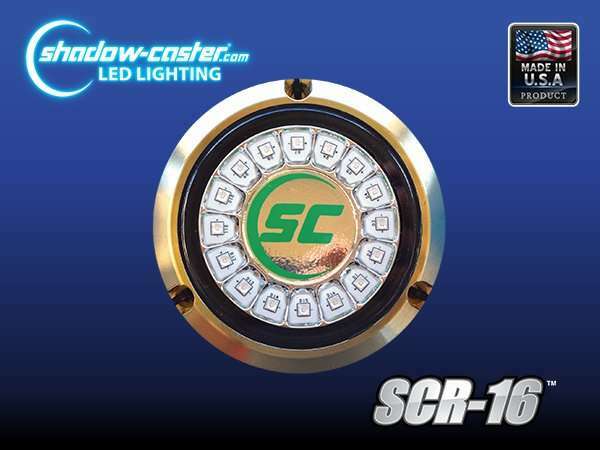 The SCR-16 is an underwater LED yacht light that produces up to 5,000 lumens of light from a compact 4″ round bronze body. Small Size fits where most lights can’t. Bronze construction stops marine growth reducing cleaning. Works with 12 volt or 24 volt systems. Surge Protection/ Reverse Polarity Protection/ Thermal Protection. Wide Light Spread- Floods the water with light. 5 Awesome Colors Plus a 2 Colors in One Light!